Sodalite is a rich royal blue tectosilicate mineral. Sodalite samples are opaque, crystals are usually transparent to translucent. Sodalite is a member of the sodalite group with hauyne, nosean, lazurite and tugtupite. Discovered in 1811 in Greenland. 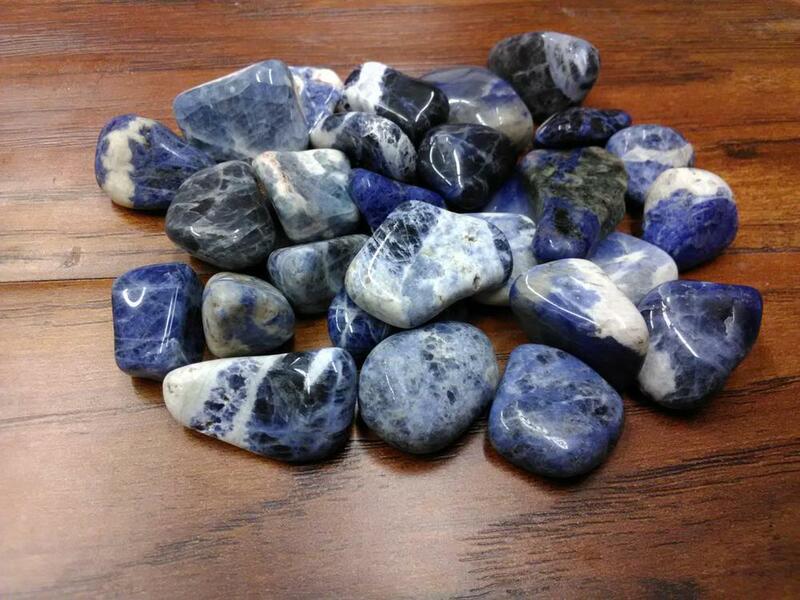 Sodalite can ease anxiety and panic attacks, mental confusion, and fear/phobias. Use Sodalite to strengthen the immune system, ease insomnia and balance metabolism.